When customizing Android it can be easy to overlook the lockscreen and most people don’t think you can customize it. The lockscreen is what is displayed when you turn on your phone or when you wake your phone from sleep. 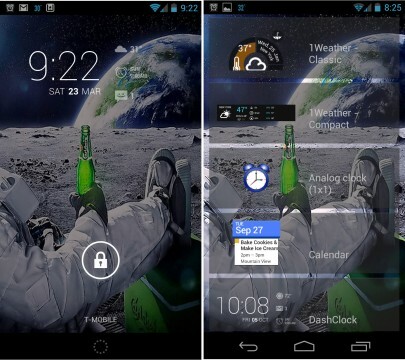 The lockscreen like any other part of Android can be customized depending on what version of Android you have there are apps that can be downloaded, or if you have Android 4.1 you can use widgets to customize. Here are some apps you can use to customize older Android phones as well as some apps and widgets I use with Android Jelly Bean. The lockscreen is a very important part of any Android device and in some cases it can help keep you from pocket dialing someone. The lockscreen does just what the name says it locks your screen after a certain amount of inactivity or if you press the power button. The lockscreen can also be used to require a password, pin, or pattern to be entered before opening to Android. The lockscreen is built into the Android OS that is why if you have a newer phone or a custom rom with Android 4.1 additional lockscreen features have been added. If you have an older Android device and want to customize your lockscreen there are several apps that you can download that will give you a wide range of customization options. These do not require root access on the Android device and once setup they will override the stock Android lockscreen. 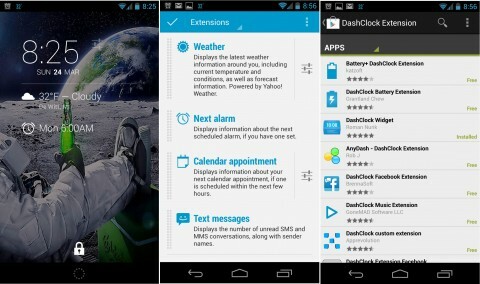 WidgetLocker is one of the best apps available to customize Android lockscreen. Unfortunately the app isn’t free right now it cost $2.99 on the Play Store. But if you are looking for an app that allows you to fully customize the Android lockscreen than WidgetLocker is the best and one you should check out. WidgetLocker allows you to have any lockscreen you want including an iPhone lockscreen. You can change the lockscreen background; add app shortcuts, or widgets right on the lockscreen. You can also download additional themes for WidgetLocker to change how the lockscreen looks some of the themes include; Windows Phone 7 tile, Jelly Bean, Slider, & Sense theme. For a complete guide to customizing WidgetLocker view the link below. Go locker is another lockscreen replacement app on the Google Play Store which offers many different features and customization options for your lockscreen. Go locker is a free app which has many different lockscreen themes that you can download and use. Go Locker allows you to have a background to your lockscreen. With go locker you can change the way you unlock your Android device as well as adding features like widgets or changing how you unlock your device. Go locker allows you to download premade themes to change the look of the lockscreen. The only downside of Go Locker is that you need to download Go Launcher app which is a launcher replacement that is also very nice and has many different tweaks, but you need to have it installed for the Go Locker to run. 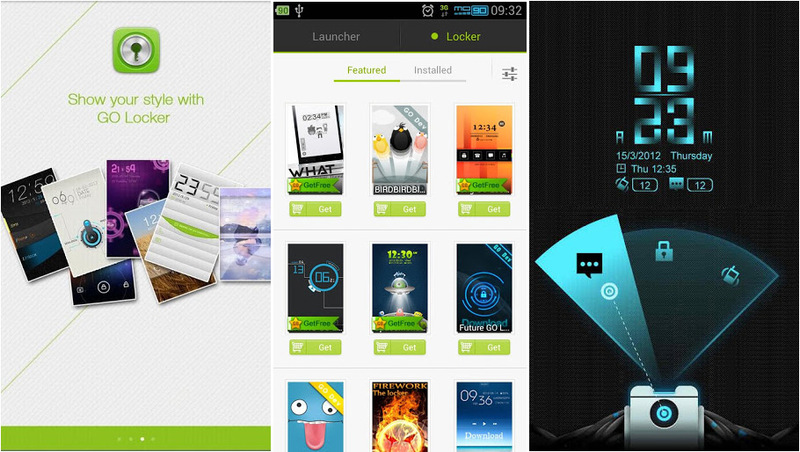 So if Go Locker looks interesting to you, you can download Go Launcher and just not use it. If you have a newer Android device or have a device updated with Android Jelly Bean you can customize your lockscreen with any widget you have on your phone easily without having to download an app. You can have up to 5 different lockscreen windows which act a lot like the homescreen windows and you can place any widget you would like on each window. 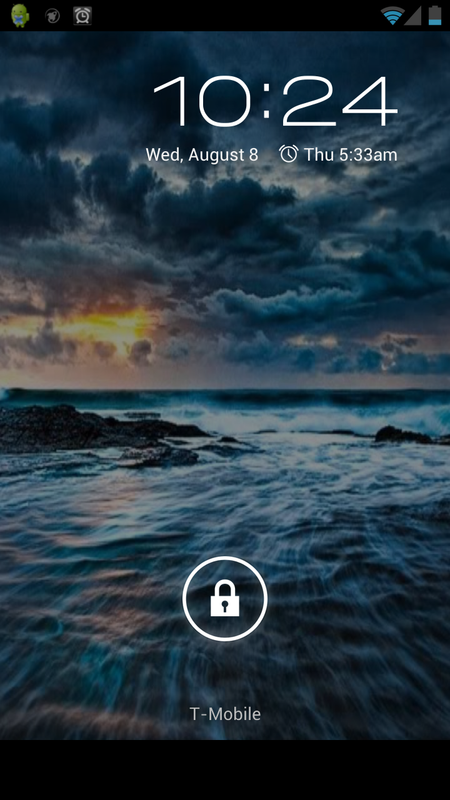 By default you have the camera as one of the lockscreen windows which allows you to easily take pictures without having to unlock your device. You can also add a widget for your Gmail, or calendar on the lockscreen which allows you to view your email or check your calendar without unlocking the phone. If you want to add more widgets to the lockscreen there is a great app you can download called DashClock which allows you to add tons of different extensions and widgets which gives you much more information on the lockscreen as well as change the look of the lockscreen. DashClock extensions include Facebook widget which allows you to see your Facebook notifications right on the lockscreen. You can also get extensions to play music, give advanced information on the Battery, RSS reader, Messaging extension. I really like the uses of DashClock and would recommend it for anyone with a Jelly Bean Android device. To find out more about DashClock check the link below. No matter what Android device you have there are many different ways for you to customize and get more out of your lockscreen. Even though you may not spend very much time at the lockscreen you can still make it look cool and have information right there for you. This is the third post in the customize Android blog series so if you haven’t seen the first two post you may want to check those out. Let me know how you use your Android lockscreen or if you use a different app to customize the lockscreen. My next blog post will be about customizing Android Wallpaper.